When he began to listen to the great works of classical music as a child, Anthony Tommasini had many questions. Why did a particular piece move him? How did the music work? Over time, he realized that his passion for this music was not enough. He needed to understand it. Take Bach, for starters. Who was he? How does one account for his music and its unshakeable hold on us today? As a critic, Tommasini has devoted particular attention to living composers and overlooked repertory. But, like all classical music lovers, the canon has remained central for him. In 2011, in his role as the Chief Classical Music Critic for the New York Times, he wrote a popular series in which he somewhat cheekily set out to determine the all-time top ten composers. Inviting input from readers, Tommasini wrestled with questions of greatness. Readers joined the exercise in droves. Some railed against classical music’s obsession with greatness but then raged when Mahler was left off the final list. This intellectual game reminded them why they loved music in the first place. 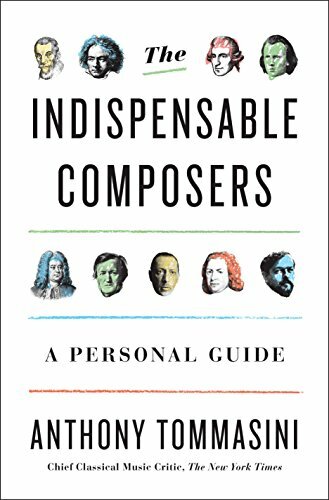 Now in The Indispensable Composers, Tommasini offers his own personal guide to the canon—and what greatness really means in classical music. What does it mean to be canonical now? Who gets to say? And do we have enough perspective on the 20th century to even begin assessing it? To make his case, Tommasini draws on elements of biography, the anxiety of influence, the composer's relationships with colleagues, and shifting attitudes toward a composer's work over time. Because he has spent his life contemplating these titans, Tommasini shares impressions from performances he has heard or given or moments when his own biography proves revealing. As he argues for his particular pantheon of indispensable composers, Anthony Tommasini provides a masterclass in what to listen for and how to understand what music does to us.